when there was water on the surface. This continues my series of extraterrestrial cool stuff for Old NFO to consider when writing his upcoming Sci-Fi novel. IF you are going to live off-world, why not live in a lava tube - providing that there is no longer active lava coursing through them. Let me caveat this with the fact that NOBODY knows for sure whether or not there are lava tubes on the Moon. But the Moon was volcanic and volcanism opens the door to that possibility. Volcanic features are an important target for future human space exploration because they could provide shelter from cosmic radiation, meteorite impacts and temperature extremes. Lava tubes are tunnels formed from the lava flow of volcanic eruptions. The edges of the lava cool as it flows to form a pipe-like crust around the flowing river of lava. 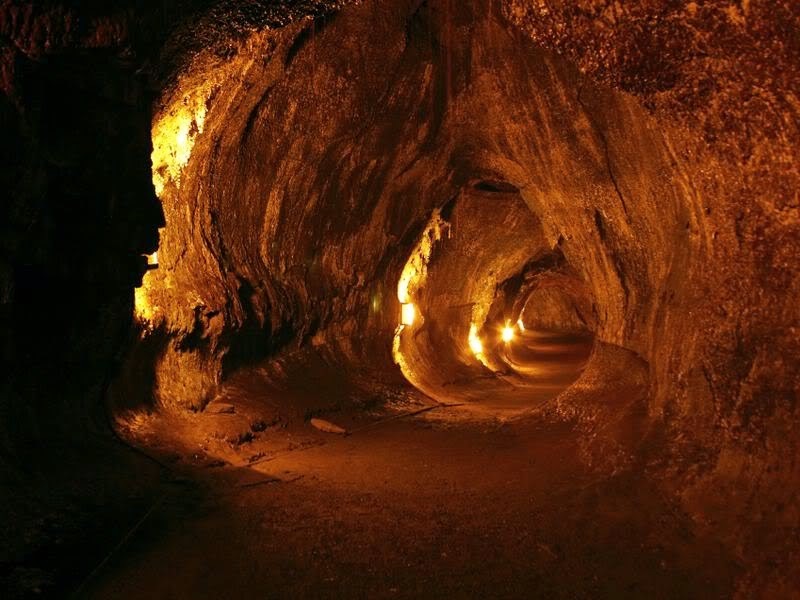 When the eruption ends and the lava flow stops, the pipe drains leave behind a hollow tunnel. David Blair, a graduate student in Purdue's Department of Earth, Atmospheric and Planetary Sciences, led a study that examined whether empty lava tubes more than 1 kilometer wide could remain structurally stable on the moon. "We found that if lunar lava tubes existed with a strong arched shape like those on Earth, they would be stable at sizes up to 5,000 meters, or several miles wide, on the moon," Blair said. "This wouldn't be possible on Earth, but gravity is much lower on the moon and lunar rock doesn't have to withstand the same weathering and erosion. In theory, huge lava tubes -- big enough to easily house a city -- could be structurally sound on the moon." The team found that a lava tube's stability depended on the width, roof thickness and the stress state of the cooled lava, and the team modeled a range of these variables. If they exist and can be accessed, lava tubes become the habitat of choice for habitats not only on the Moon, but on Mars and on any other body with a toxic atmosphere and habitability issues caused by temperature fluctuations. 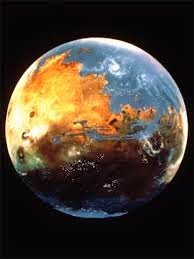 On locations such as Mars, they would also be a good place to look for life. The problem is finding them and the solution is that one should begin looking where a roof has apparently collapsed. The lack of foliage on the Moon and Mars makes finding that sort of feature far more likely than finding the same feature on Earth by employing similar means. Simply for reference: This is a photo of a famous lava tube near the tropical eastern edge of the Kilauea crater and caldera on Hawaii's Big Island, called Thurston Lava Tube. As it is huge, it is set up for tourists and is worth visiting. Lorrin Thurston discovered it in 1913. The Tube is several hundred years old. Since NFO spends much of his life in Hawaii, these sorts of things would be good to explore (tax deductible trip?). This is the Ceiling Fan Tour as requested. I like unique ceiling fans. I have no interest in the cookie cutter fans that they sell at Home Depot or Lowes. There is no character, no je ne sais quoi in the design of normal ceiling fans and you won't find them in my manse. I've been through different design periods. In one, the place looked a bit like the Imperial War Museum...a bit over the top even for me. A friend said that I was building a shrine to myself. He was right, so I disassembled that and moved on. The Front Room/Parlor. It's "L-shaped" and it requires two photos to cover it. If you look up there is a massive and very cool 8 bladed fan. The ceiling for this room is 22 feet overhead, which allowed me to drop a fan on a 6 foot pole to a point mid-ceiling. Check it out. 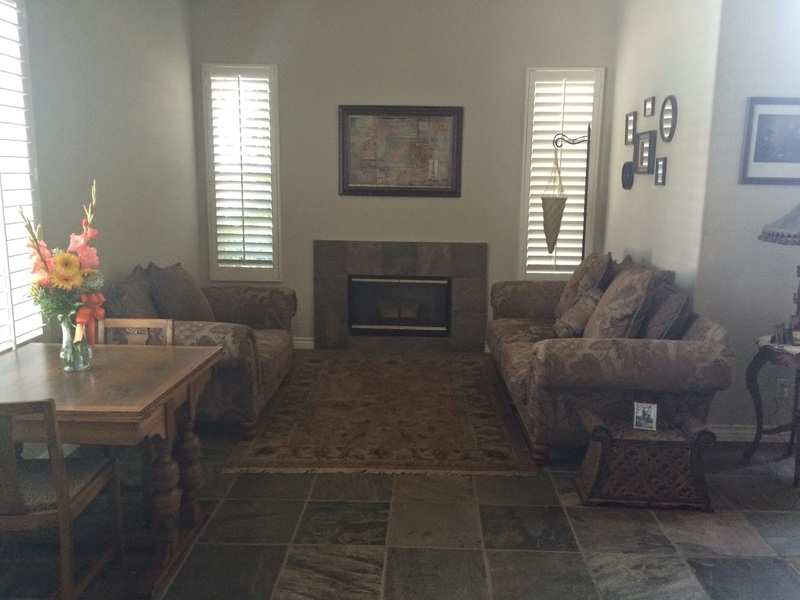 The Family Room - The photo (below) covers about half of it. I have two matching fans. This is the photo of one taken from a point where I'm standing under the other. 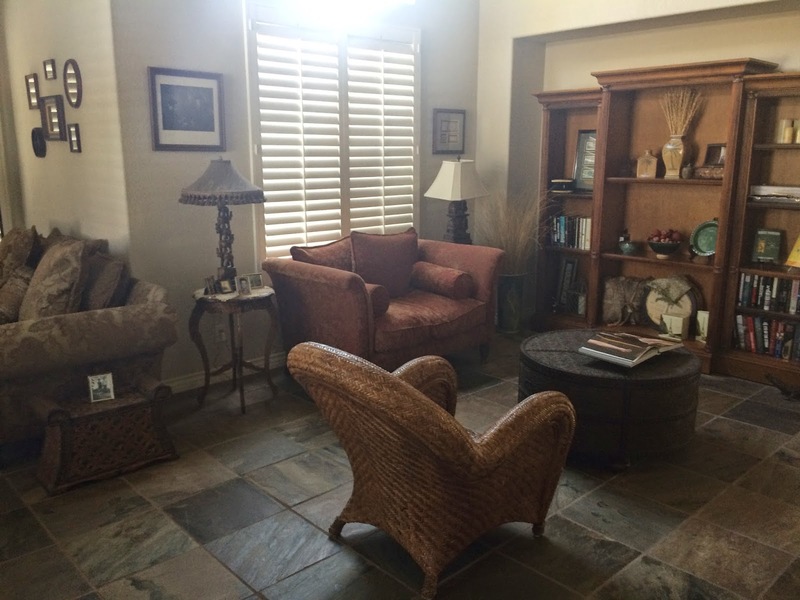 I'm not going to shutterbug this thing to death but the rooms are "open concept", which means that there is a 12 foot opening that leads from the parlor/front room into the family room and that connects with the kitchen. It does a remarkably good job moving a lot of hot air that is generated in the den...I have no idea what the source of the hot air in my den is. There are more fans in the bedrooms, etc. but you are likely bored to tears by now.